On My Way is for the locomotion-loving! 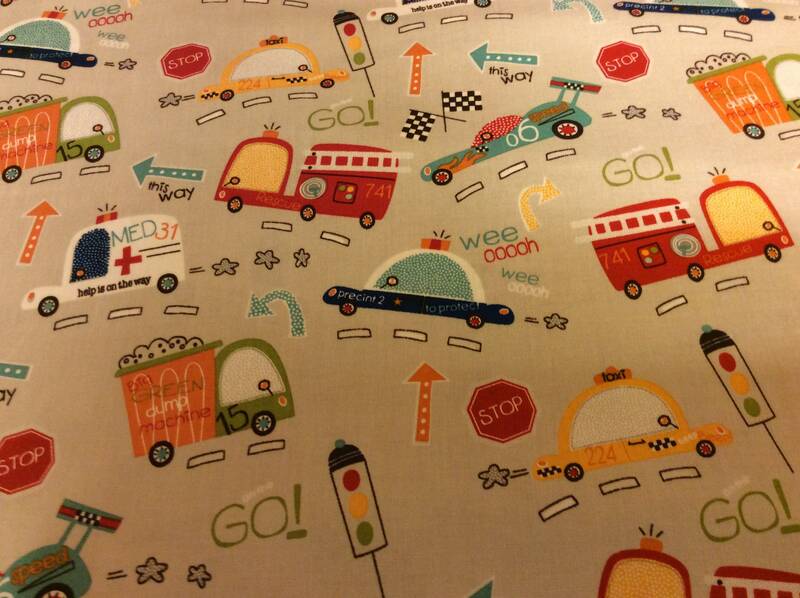 Chock-full of firetrucks, ambulances, police cars and dump trucks you will love all the activity on this print. I like that i finally was able to talk this seller into giving me a refund. I purchased and in under 10 minutes tried to cancel the order. I was told that the fabric had already been cut and shipped . That she thought she was doing a good thing by getting it out so quickly. Unless she lived next door to the post office this would have been impossible in under 10 minutes. I expressed how dissatisfied I was, and was told that she would not be able to sell a 1/2 cut that she would be ought the cost of the fabric. In the end I sent back her package back marked return to sender without opening and was given the refund on the fabric portion but had to eat the shipping portion of the order. Buyer beware! All sales final even if it is only a sale for 10 minutes!